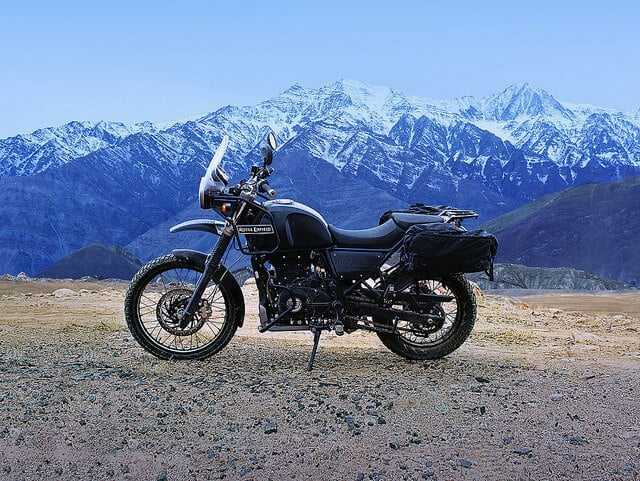 Explore every nooks and corners of the majestic Himalayas, taking a thrilling motorcycle ride. Petrolheads from across the globe have Ladakh bike trip on their travel bucket list, and it is rapidly gaining more popularity. Get a glimpse of the northern region?snatural beauty and picturesque locations that are connected by both smooth and twisted roads. Motorcycling across Ladakh includes riding through a few of the steepest mountain passes in India as well as the highest motorable road in the world - the Khardung La Pass that is at a height of 18,370 feet. If you?re a biker, this exhilarating experience isn?t to be missed. 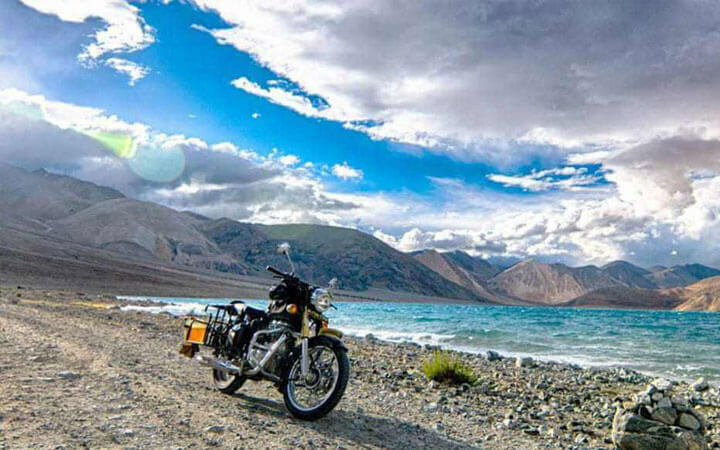 A Ladakh Bike Trip is the dream trip for all thrill-seekers. 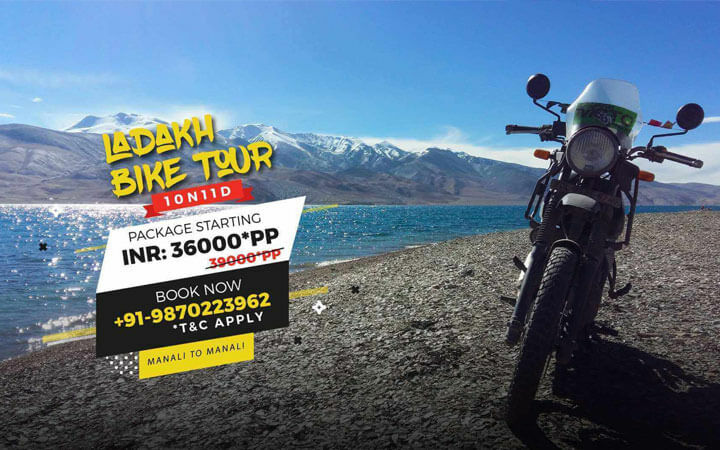 Check out Ladakh Motorbike tour packages to drive through steep mountain passes and picturesque locations on an unforgettable bike trip to Ladakh. Every biker dreams of going on a Motor Bike trip to Ladakh one day. The roads in this region are filled with thrill, adventure, and culture, which is why it has become a favorite of people not just in India, but across the world. 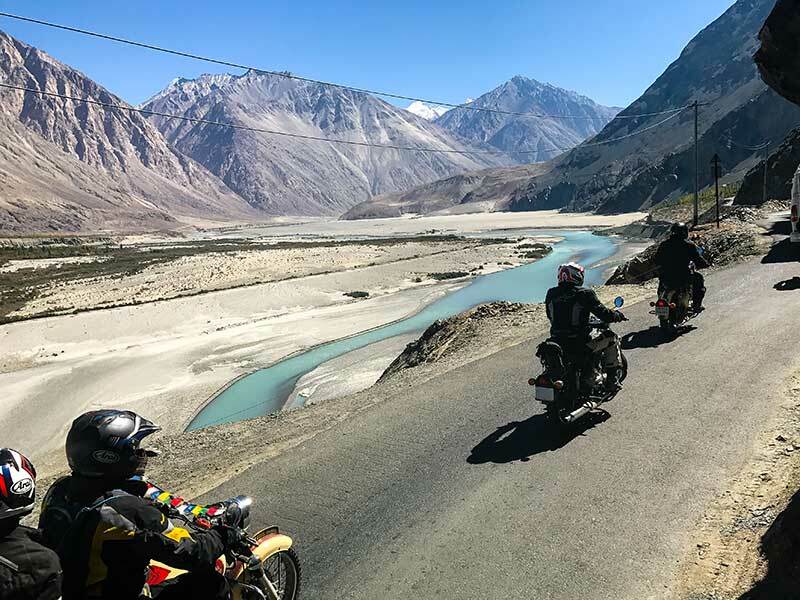 There are several Ladakh Motorcycle tours for that Go2Ladakh offers and we can also help you find the most apt Ladakh tour guide so that you don’t have to worry about getting lost in the beautiful place. 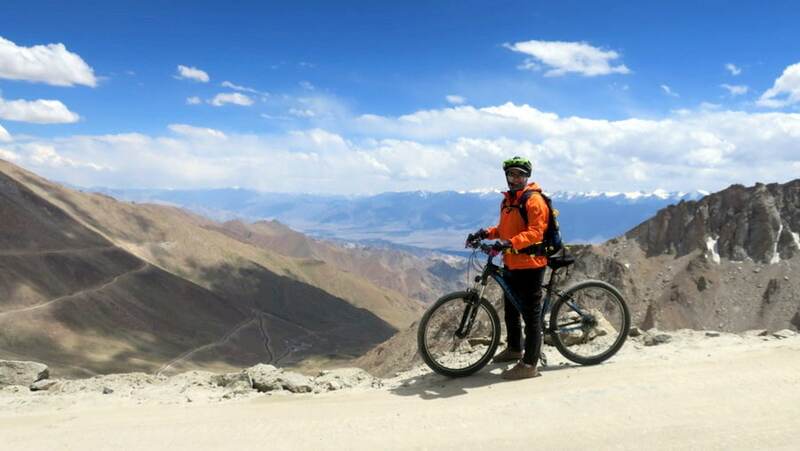 The best time to take a Ladakh bike trip is between June and September as the temperature and cold winds are bearable, especially for those who come from tropical regions of the world. Ideally, a road trip to Ladakh should last for 10-15 days so that you can rest whenever you want and not travel continuously. The treacherous roads in Ladakh do not allow you to drive at high speed, which is why, it takes much longer to cover the distance. Though, the right duration will depend on how much time you have and how many places you want to cover.The duration will also depend on how you are planning to reach Leh -- Whether you are driving from Manali or Srinagar, or directly taking a flight out to Leh.You will have to pay extra for permits in case you are driving through the state broder There are ATMs along the highway, but they may not always have cash in them, so it’s best to keep extra cash in hand for emergency purposes. Even though, people have successfully taken their 100cc bikes on a Ladakh bike trip, we recommend going with a 350 or 500 cc motorcycle so that you don’t face any issues on the way. You can go for a Royal Enfield or a KTM Duke 390. They are easily available on rent in Delhi and Manali and in order to get the bike, you will have to show your driving license. You can also rent a bike in Leh itself. If you and your friends are traveling in a group, it is best to hire a mechanic for that the entire trip and pay him on a daily wage basis. You can either complete an entire loop or go on a one-way journey from Delhi, Mumbai, or Manali to the end and have the bike shipped to the starting point. Our favorite loop routes include Srinagar to Leh and Manali To Leh and back. There are places where you can stop to refuel, eat, and rest for a while. You can turn these two routes into one-way trips as well.Keep yourself hydrated and rest well. 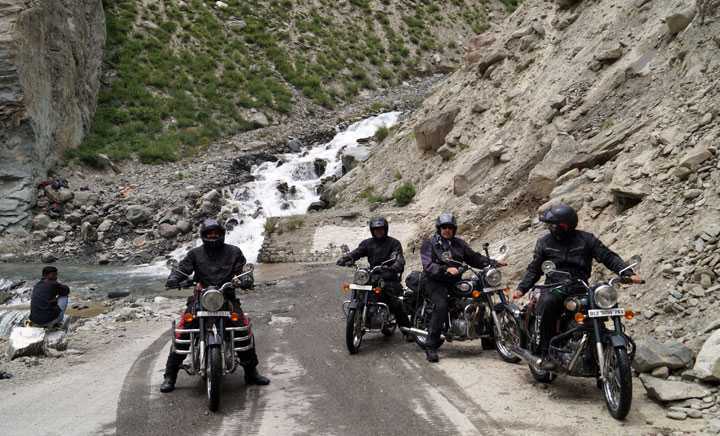 The Leh Ladakh Bike Trip will turn out to be the best one you have ever been on.